The roses are back in all their beauty ! you too, Kathy- you are a blessing in my life. Each day I look forward to see what you have in store for us. Today’s pictures were a delight- I wanted to write connoisseur- but took it off. 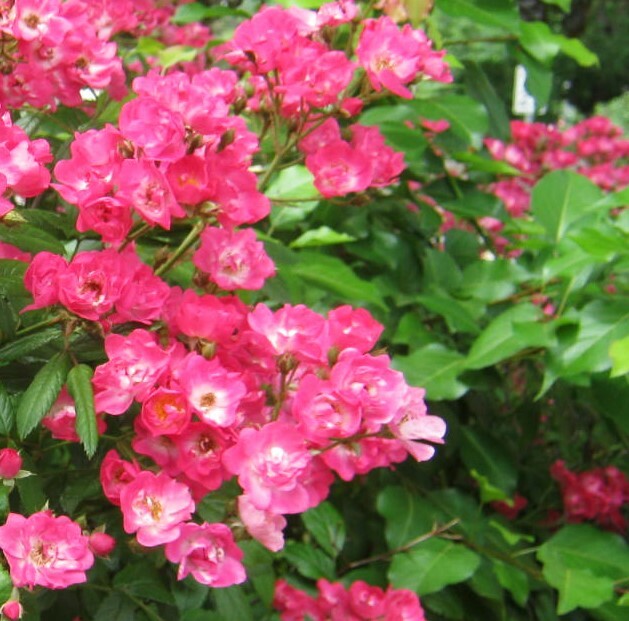 Are there roses in your garden already ? And I noticed the big, red ant in the top picture and the ? bee or woolly something in the last picture. No roses now, those were a few I found last summer in someone’s yard. I just stood on the sidewalk and took photo after photo of them. I love insects…always have…a little strange I know. There is still just a bit of snow on the ground here. Seems like winter was short and not so cold this time- perhaps the times are changing ! I have roses on the terrace of my house( roof)- we have flat roofs here- which flower only in the short winter we have here. It is the summer that kills the roses, plus my laziness and avoidance of the heat of the terrace in the summer. Oh Susie, I think it would be wonderful to have a garden on the roof. 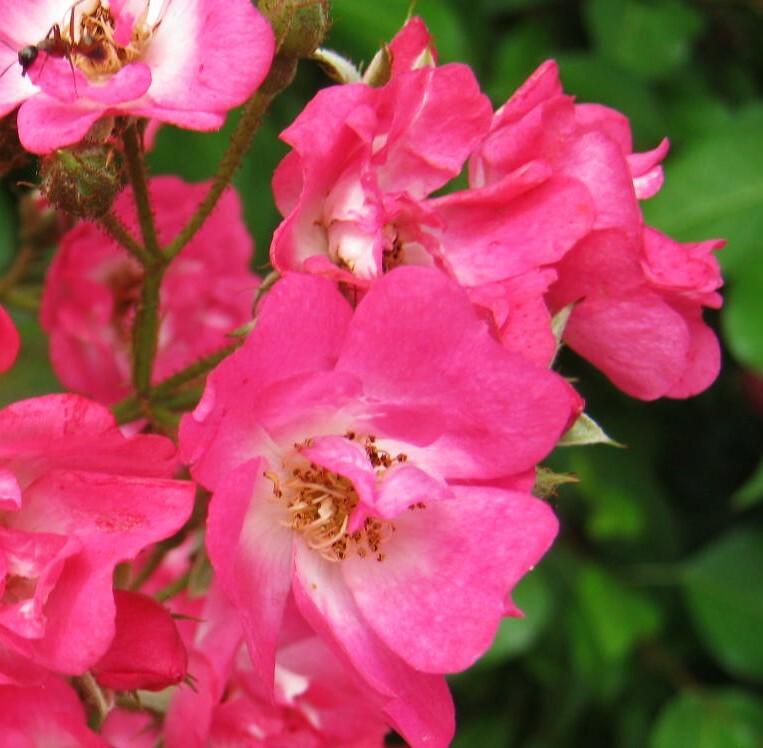 I will imagine you up there now, when it is winter temperatures…enjoying your roses. Thanks so much…I love the bees too! 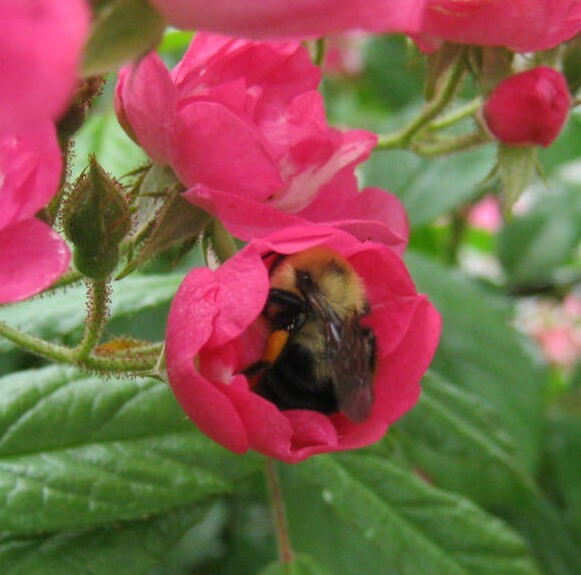 Lovely photos, and adore the bee snuggled up in the rose petals.